Everest Base Camp Trek is one of the high status trekking region in the land of Himalaya country Nepal. Actually, this trek is well known for its highest top on the planet. The stunning view of mountain peaks and great beauty of the Nature and Sherpa culture makes the trek very exciting. In this trek you face the many ridges trail and you will have enough time to take a rest on the way between. The good attribute of this trek is that you do not get confused about the trail. You can ask to anyone about the next village. The people living in Everest region are influenced by tourist so, everybody respect and happy to tell you anything that you ask about. Most of the part people occupation is shepherd and they can speak the breaking English. A few locals can only speak fluently. You can come to visit this destination anytime of the year. But, the best time is March to May and September to November. In this Everest Base Camp Trek, you will reach up to 5364 m from the sea level. You will feel proud to be near at Top of the world Mount Everest. Every tea houses in this Khumbu region only accept the Nepalese rupee (NRS). In average budget that you need there is Rs. 2000 to 2500 per person per day. The price will be rise according the elevation and in popular season. The easiest way to reach at the Everest Base camp trek is simply by flight. The flight will take just 30 min after departing from Kathmandu Domestic airport which is behind the Tribhuwan International Airport. 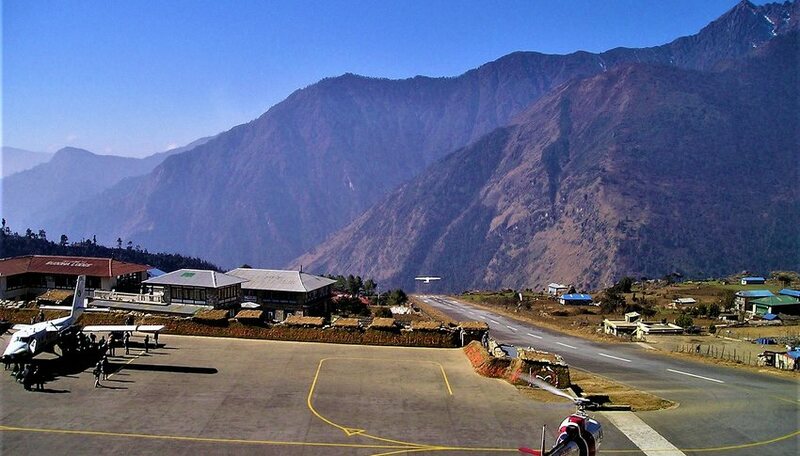 Lukla airstrip (2853 m) is the extreme airport from where the Everest Base Camp trek begin. 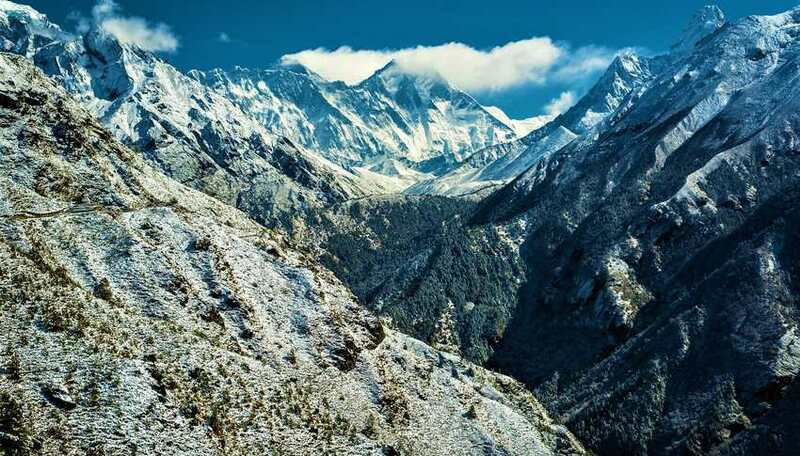 Everest region is lies in the Solukhumbu District, is famous for Khumbu glaciers, paradise mountain ranges and forest area, variety of wild creatures and monasteries. The extra day in Namche bazaar help you good acclimatization to accomplished the Everest Base camp Trek. Beyond the expectation landscapes, tourist to this region will find extraordinary experience of Sherpa lifestyle by discovering museums and monasteries along the trail. The deep combination of natural beauty, interesting culture and very warm Nepalese welcome from the locals of the Solukhumbu area, really makes the Everest Base Camp trek one of the planets best unexpected memory. Day 1: Fly from Kathmandu to Lukla for 25 minute and trek to Phakding (2610 m) for 3hrs. As we drive for 15 minute to the airport from the Hotel. We completed our certain formalities inside the terminal about airlines security and we took a flight for 25 minute to Tenzing-Hilary airstrip at Lukla. As we arrived, our porter collected our baggage and moved to the hotel Mera Lodge to make a ready. Actually, there we stopped to have a morning breakfast. After that, we moved through wide stone trail from a small market of Lukla. Continuing our Everest base camp trek and passes a memorial gate of Pasang Lamu Sherpa (A first women in the world who climb the Mount Everest in 22 April 1993 AD). Descended from the natural trail by passing rhododendron and pine trees along with stunning Mountain View like Karyolung (6511 m), Nupla (5885 m) and Gongla (5813 m). Along the trail followed by Dudh Koshi River, Mani stone, chorten and stupa with prayer wheel by crossing suspension bridges, we reached Thado Koshi Micro hydroelectricity pipeline which is 100 kW project sponsored by Kadoorre Agricultural Aid Association of British Gorkha Nepal (KAAA BGN). From there a Mt. Kusum Kangaru rise behind with the combination two green mountain hill. After crossing Iron Bridge, we strolled little up and stopped for tea break. After had tea or coffee, we again continued our walk up and down by clockwise round to Mani stone and chorten and reached Phakding on the way to “Everest Base Camp Trek”. Where we stopped to have a lunch at Sangrila Lodge and Restaurant and even rest tonight. After had our day meal, we took a rest for a while and decided to hike nearby attraction of place. Followed by wide stone and muddy trail, we crossed a suspension bridge and hiked for 45 min uphill up to Pema Choling Gompa which has a 350 year history. Important to know: Phakding used to be the sources of white micaceous clay which was used to whitewash house walls and this is what the word Phakding means. Which is 1st overnight stay place of Everest base camp trek. Today it is where most trekkers stay on their way to Namche and for good reason. Across the bridge on the western side of the Dudh Koshi River, there is the Pema Choling Gompa which is one of the most important Gompa in Khumbu. It is popularly known as Gumela/Rimishung Monastery. Day 02: Trek to Namche Bazaar (3440 m) from Phakding for 6 to 7hrs. Last night, before going to bed, we already had ordered a breakfast for the next morning, means for this second day. So, it was became easy for us to wake up on time that the local cook man prepared for us. After our breakfast, we walk as usual for the first few minutes on wide stone and muddy trail, crossed the suspension bridge. After that, followed by narrow trail and stone steps by crossing concrete bridge and suspension bridges we reached Chumoa. Where we had stopped to show TIMS cards of Everest base camp trek region before a short tea break. After that, we kept an eye on Mani stone wall, prayer flag and beautiful colorful houses here and there and reached Monjo. The last village of Sagarmatha National Park. At northern end of the village we saw a counter of National park and showed a national park permit. Afterward, we entranced from the gate or kani, there we saw the magnificence of rock construction in this area. Subsequently, descended and headed upwards followed by Mani walls and prayer flag, we reached Jorsalle. A first settlement inside the National Park. Here, we decided to stop for Lunch. After our day meal, continual our Everest base camp trek by passing suspension bridge and followed a Dudh Koshi River beach. There we saw a Hillary Bridge before forward our path. Amazingly beautiful this spot made us to take a picture and selfie. The landscape and view was awe-inspiring. After photo session, we headed up for half and hours and crossed that bridge and reached Tope Danda. From there we saw majestic view of Mount Everest (8848 m) Lhotse, Nuptse and Tawache. From this hill just it was two and half hours to Namche Bazaar. At last followed by rhododendron and conifer trees like pine and incent, we passed the small village from where a Mt. Kongde gave a contrasting view before Namche. Once more last we gave our pace for half an hours and reached Namche bazaar. Where we overnight stayed in Snow land lodge. Fabulous Mountains that we see from our lodge are Nupla (5885 m), Shar (6093 m), Thamserku (6608 m) and Kusum Kanguru (6367 m). 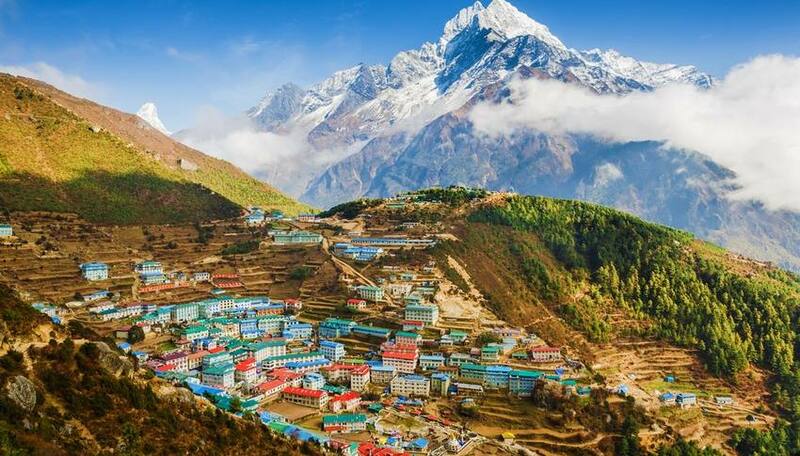 The Fact of Namche: Namche is a heart of Khumbu. This village was built an ancient cirque is the Largest of all Sherpa settlement. The major attraction of Namche bazaar are Sherpa culture Museum, Sagarmatha National Park Head Quarter, Entrance Chorten, Namche Monastery. Second day of Everest Base Camp Trek. In our acclimatization day, we had planned to explore the Namche Bazaar and go to hike 300 m uphill to make our body acclimatize on the high height. Last day, after had our dinner, we ordered for the breakfast and early morning after a breakfast, we ordered for a lunch. Afterward, started our hike by entering through gate of snow land lodge. Continuing our walk for few minutes on the stone steps by passing prayer Mani wall and headed over Thame valley by means of viewing the beautiful prayer flag that looks like hanging over the skyline, Mountains like Mt. Nupla (5885 m), Shar (6093 m), Nup (6035 m), Mt. Khumbila (5761 m), Mt. Thamserku (6608 m) and Kusum Kanguru (6367 m). As we keep our walk on the steep on the muddy trail bit by bit, we reached a top hill after total two and half hours of walk. From where a 360-degree panoramic mountain view including Mount Everest (8848 m), Taboche (6501 m), Lhotse (8516 m) and Ama Dablam (6814 m) can be seen a striking over the cloud. As well as a Everest base camp trek route. The hill from where we can see mentioned prominent mountains, there is Everest Sherpa Resort and nice quotation has written “On the Top of The world at 3841 m with 360-degree view of Himalayas”. Here, we spend around one hours by drinking a piquant tea and coffee with magnificent outlook. After that, we descend to the Lodge for a lunch. Afterward, we spend some hours by surfing on Internet and in late afternoon went to visit Namche market after our dinner order. Secret Fact: There is a mountain which is called Khumbila. At behind of that peak, there is a small village, popularly known as green valley. You know why they called it? Because one day villagers kept on a roof top of their house a silvery Zinc plate. Subsequently, the sunlight heated into the silver zinc roof and reflection of sunlight melted all ice of this Khumbila Mountain. Later, they painted it with green paint and become a green valley. On important is that this Khumvila mount is restricted to climb and also called Secret Mountain by the locals. The melting water following from this mountain is use for a drinkable purpose. Day 04: Trek to Tengboche (3860 m) from Namche Bazaar for 5 hours. After our morning breakfast, we were ready to entrance the gate of lodge and moved forwards through narrow trail by rounding the prayer wheel bell and carefully passes the trial where it has frozen. On the right side, green landscape, some birds were flying that made us imagine to fly over the sky ha-ha. Anyway, we continued our track by viewing the Mt. Everest, Lhotse, Amadablam and Thamserku that are rising in front of us which looks perfectly spectacular. While we were keep on walking, at far corner horizon we saw a beautiful village called Phortse which lies at the foot of Mt. Taboche. Where an ice climbing training is organized. It is also said that most of the family member of each houses of that village are able to climb high mountains like Mount Everest and also declared that on the area highest number of thar, high density of Snow leopard signs and Himalayan Monal and other type of pheasant can be seen and found. After few minutes of walk on slight but well managed trail by following the stupa and Mani stone wall over the rocky hill mountain, we reached Kyangjuma. There we stopped for a tea break. This is perfect place in Everest base camp trek to view the stunning Amadablam. Afterward, we again carry on over rhododendron and conifer forest for half an hours and passes through rocky mountain hill. There we saw on the right at middle of cliff, Himalayan thar, a mountain goat grazing. Again we walk steadily from side to side and descend through a pine forest and meet a suspension swing bridge on the way to Everest base camp trek. Subsequently, crossed and touched at Lunch place Phungi Tenga. Which is beside the Dudh Koshi River and local said that it is good spot for Himalayan Griffons which nest in cliffs. We were wonder and notice. Even we saw some griffons flying on the sky. After had our day meal, we ascend via army camp and pine trees up to Tengboche for two hours. Where, we stopped for rest to night at Tasi delek lodge. As we arrived, we took a rest for a while and went to see nearby Tengboche monastery which was established around 1915 AD. Fact of Monastery: Inside this monastery, 60 monks are living at the age from 8 year old beginners to 80 year old reincarnate Rinpoche. The main attraction inside of it are Lama Sanga Dorje, Mani Rimdu, Earth- witness posture of Buddha, Prayer wheels, Thangka, Lama Guru, Kalachakra and Thangka. Day 05: Trek to Dingboche (4410 m) from Tengboche for around 5hr and 30 min. On this fifth day of Everest base camp trek, we had to cross the tree line. Normally, in Nepal above the 4000 m from the sea level, there are no tree line. So, we had briefed that there will be lots chances of windy and we prepared to be warm with full of clothes. After our early morning meal, we descended through rhododendron forest by following Dudh Koshi River along the contracted trail from the right side via Deboche. Which is 120 m lower than Tengboche is a monastic settlement recognized by lama Guru for the benefit of nuns and a forest is much dense in this area. After that, when we passed the wooden bridge that is binding with prayer flag, we ascended inch by inch and crossed the kani. Again, we kept our smooth pace up to Lower Pangboche, the last factual village of Everest base camp trek. Where we stopped for a short tea break. After spending short time, we continued our way over Mani wall and pine tree by viewing majestic Himalayas and Dudh Koshi River which was following from the right of us and reached Syomare. There we stopped for lunch and this is a first place of settlement after we crossed the tree line. We spend one hours for our day meal and headed towards Dingboche by walking on slight trail, crossed the tree line and motivated onward by viewing high height peaks and animals; yak and nak on crumple path before getting Dingboche and reached peaceful lodge for overnight stay and even to stay for acclimatize next day. We perceived that Dingboche used to be a summertime settlement for yak grazing. Even we saw a number of yak and nak grazing over a hill of the rock face. Mountains such as Amadablam, Taboche, Imjatse, and Lhotse were incredibly horizon which was outside the expectancy. For a second time, we had our morning breakfast and well-ordered for lunch. Afterward, we directed 300 m up at Chukung height (4735 m). The native persons said that the altitude is a precise widely held endpoint for acclimatization and also an entryway to the very popular Island Peak. From this top of hill, we saw an outstanding view of Tabuche, Lhotse, Amadablam, Nuptse, Peak 38 (7590 m), Baruntse (7152 m), Thamserku, Island peak (6189 m), Makalu (8485 m), and Amphula (5630) etc. Even though we saw identical lovely birds like Himalayan Ravan, Himalayan vulture, common Kestrel, etc. Animals yak and nak, zokbiyo were grazing and made us sense like how they survive on the high elevation above 4000 m in this icy region. After spending half an hours on the Chukung height we move toward back tracked by the same path and took a lunch. But, the day was brilliant so we devote our rest of the time by sitting in the sunlight and hang on to music, intake hot water and tea as well as by loving a view. Dingboche is last place to have rest day in Everest Base Camp Trek. Day 07: Trek to Lobuche (4940 m) from Dingboche for around 4 to 5 hrs. On the seventh day, a trail leaded through little upwards like half an hours through stupa and smoothly walked into grassland where no trees area. But, we saw a yak hard house. It is said that in summer, the number of yaks and naks could be seen that are grazing on the field. After walking slowly but surely, we touched at Thukla, where we at a standstill for the tea break. After had a hot tea, we directed uphill for one hrs which was difficult section. As we crossed the toughest part, we met a lot of memorials chorten built in the memorandum who were summited the Mt. 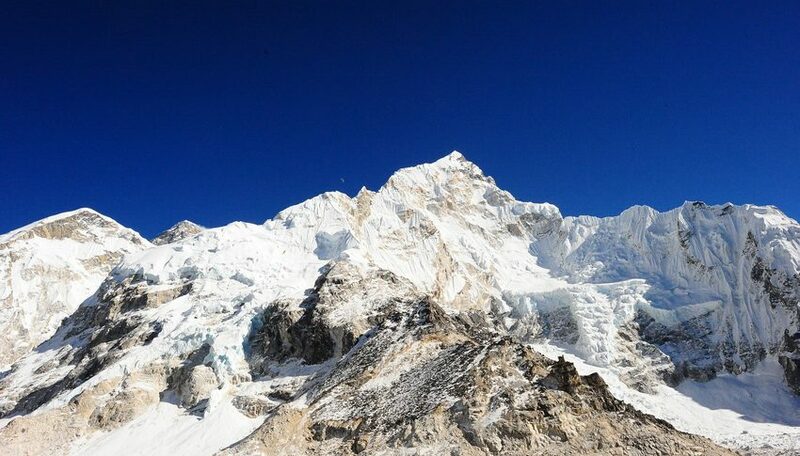 Everest and other mountains lie in the Everest region. For example; Hristo Prodanov who is from Bulgaria who scaled mount Everest alone without oxygen on 20th of April 1984. But, died on his way back from a summit on the same day. Another person, Babu Chiri Sherpa from Solukhumbu, at very young age of 13 he started his career as a climber. By the age of 36, he summits Everest 10 times. But, on 29th of April 2001, when he tried for the 11th time he left this world. Likewise, there is a number of them who summited Everest and left there life. After passing memorials part we again walked for around more than 1 hrs bit by bit and arrived at Lobuche. Where we had a lunch and stayed for a night at Sherpa lodge. In the late afternoon before sunset, we went to see Khumbu glacier 100 m uphill and came back to stay in Lodge. Moreover, we already knew that next day early morning we have to wake up and should move by wearing full of warm clothes. After dinner, before going to bed, we had prepared for warm clothes and packed up rest of belongings to move earlier tomorrow. Because next day was the longest day of Everest Base Camp Trek. A fact of Lobuche: This place offers some of the most breathtaking view of mountains as well as there is high altitude research center which can help with communication for the rescue operation. Day 08: Trek to Gorakshep (5170 m) and Everest Base Camp (5364 m) from Lobuche for total 8 hrs. On the eighth day of today was a final day of accomplishing the Everest Base Camp. Which made us feeling proud to be excited near to the top of the world. Actually, the trail was smoothly up and down. Comparatively easy trails. But, according to elevation was the toughest day. Now, early morning sharply at 6 am, after breakfast, we started our trek to Gorakshep for 3hrs over the wide trail from the mid of two rocky hills with the view of Khumbu glacier and mountains. As we reached to Gorakshep at Buddha lodge, we left all our things and had another meal. Afterward, we went to Everest Base Camp which had taken five hours up and down. Rest a night at Gorakshep. The major highlights of the day are many mountains view along with top of the world Mt. Everest (8848 m) other include Mt. Nuptse (7861 m), Mt. Pumori (7138 m), Lingtren (6749 m) Tibet mountain called changtse (7543 m) etc. Rocky landscape, Awesome Khumbu glacier, Birds (Himalayan Ravan), if we stay silently Pica (A small mountain Rat). The fact of Gorakshep: This Gorakshep came by the name of the bird, the raven which is called Gorak by the Sherpas. One day Sherpas saw a dead body of Himalayan Raven (Gorak) at this place. 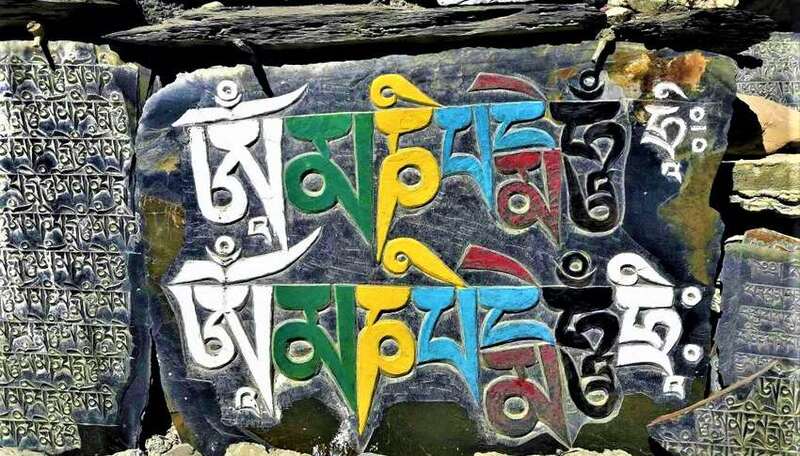 After that, the meaning Gorak found by Sherpas which is popularly known as Gorakshep. This place is the end of lodges as well as for the trip to Everest Base Camp Trek and Kalapatthar (5550 m). Day 09: Trek from Gorakshep to Pheriche (4250 m) for around 6 hrs. Early in the morning before breakfast at 5 am we had a tea and hiked upwards for 2 hrs to Kalapatthar (5550 m). From Kalapatthar, 360-degree of panoramic Mountains view along with Khumbu Glacier looks amazingly awesome. But, the temperature was like -9-degree Celsius before moving from the lodge. When we get to the top it was like – 20 degree Celsius. Freezing cold. 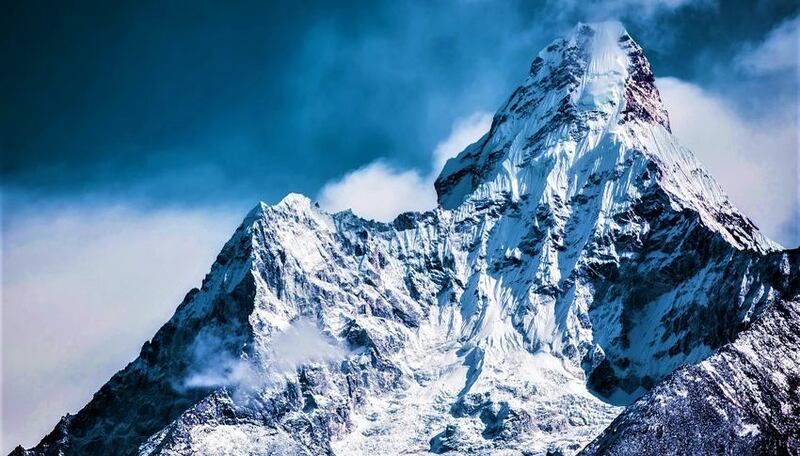 Actually, the Mount Everest, a top of the planet from the sea level looked perfectly stunning which even we cannot expect that much great and impression like very close. The Even better view then EBC (Everest Base Camp, 5364 m). Another, after returning back from Kalapatthar we had our breakfast around at 8 am and at 9 am we moved from Buddha lodge which was descending trek. As we descended by following the same trail and reached to a Lunch place at Lobuche, we felt very relief and calm. After lunch, we just trekked for 3hrs to Pheriche. Which lies in a valley, surrounded by rocky hills and mountains. But, the town was very much windy and better for summer settlement. Here, we stayed at panorama lodge and restaurant with dinner and breakfast. The mountains that we see from here are Amadablam, Thamserku, Kangtega, Tabuche, Cholatse and Lobuche peak (6119 m). Day 10: Trek to Kyangjuma (3610 m) from Pheriche for around 6 to 7 hrs. We followed a different trail up to Syomare. The trail leaded efficiently down and uphill by crossing Iron Bridge. But, it was descending trek. Because from 4250 m we descended to 3610 m.
Which is more or less 600 m down. We took a tea break at Syomare where we had a lunch in last time before heading towards Dingboche. Again by following Dudh Koshi River we encountered the tree line and returned back through the same trail by transit real village Pangboche and headed through rhododendron and pine tree. We stopped at Tengboche for lunch. After that, over again us descent to fungki tenga where we had lunch before directed upwards to Tengboche. Crossed the suspension bridge and headed few minutes upwards by passing rhododendron and pine forest, we arrived at Kyangjuma. This was a perfect place to breathe in the mountain scenery. Where we stopped for an overnight stay. The name of the guest house was Amadablam lodge and restaurant. Day 11: Trek to Chumoa (2800 m) from Kyangjuma for 5 hrs. Today again the trail move gradually downwards. As we followed by Dudh Koshi River, Mani stone, chorten and stupa, we reached Namche bazaar and had a lunch at Namche at the same lodge where we had spent two nights in snow land Lodge. After lunch, another time as we followed same trail descending highly through rhododendron and blue pine conifer trees, by walking on Dudh Koshi river beach, crossing suspension bridges, and showing national park permit and TIMS, rounding clockwise prayer wheel, we reached Chumoa guest house. The best of Chumoa was large rock territory along the trial that locally used for storage and playground of volleyball court in a lodge and surrounding green nature and landscape, which made us a finest for rest place. Day 12: Trek to Lukla (2850 m) from Chumoa for 5 hrs. Very soon Everest Base Camp trek experience going to end. Today, after our early breakfast all over again as we inclined through many mani stone, chorten and prayer wheel along with by enjoying the mountain and green view, crossing suspension bridge and gave a time to pass a mule train that are transported goods to remote part of the Everest region, and other facts of ridge trail, we grasped second time on the same place to have a tea break at Thado Koshi. After that, the trail leaded downwards for few minutes and headed up to the Lukla. We stayed at same Mera lodge where we had first breakfast and tea cessation began. Day 13: Flight back to Kathmandu from Lukla which is 25min of scenic flight. Because of rough weather conditions we had a flight around 09:30 am in the morning. After landed in Kathmandu airstrip we collected our baggage and drove back to the hotel and went to have a lunch (day meal) at a neighboring restaurant for dal vat. After that took a taxicab and motivated at Home. The best season for trekking to this Everest region is normally in spring (March to May) and autumn (September to November). But, you can go for trekking this area all the time of the year by means of people trek in all season. Many trekkers they do not prefer coming in winter period. Because of cold weather conditions and snowflake totally from place to place make your trailing practice challenging. But, we went in end of January at the mid of winter season. At that time, the weather was very good and view was superb. So, it is hard to say which season is best to travel. Only, the things is that when it would rain then will be problem for everyone in any season; either it is spring or autumn at higher altitude. On the other hand, the night get very cold and you should have to carry some extra clothes to keep you warm all the time. March to May is called blooms of flowering period. At this season, you can enjoy the tree and flowering shrub blossoming. Mainly, Rhododendron. The national flower of Nepal that create the color and beauty to the surrounding environment. Another, the views are excellent if you are planning a post monsoon adventure compared with a pre monsoon trek, just because the precipitation as well as wind flow clear the airborne dirt and dust which flies from the surfaces. September to November season is time of grandest festival in Nepal and most visited time in the country. Many foreign tourists come to visit Nepal compare to other months of the year. In this period, the sky will remain clear and temperature will be mild and moderate. What are the things should I know for Trek Preparation? The preparation before going to this region is very essential in the best for your needs. 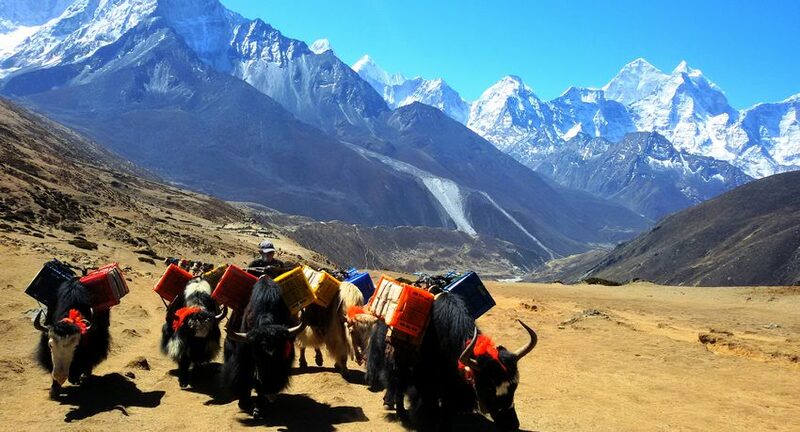 There are many things that you really need to carry on your way to Everest base camp trek. 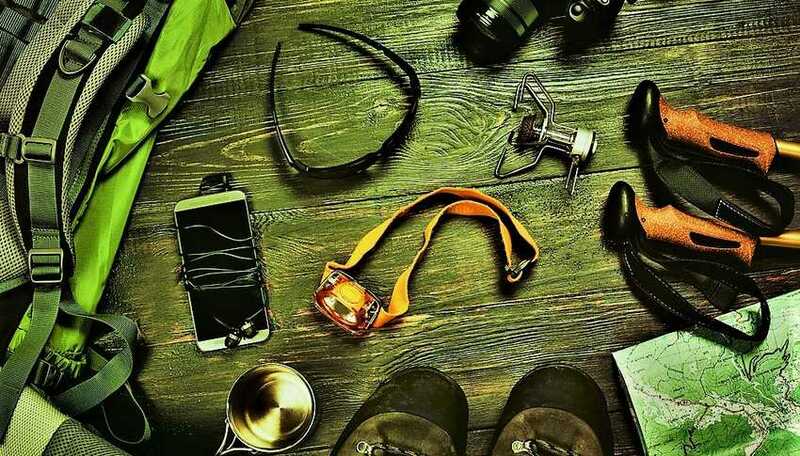 Like Trekking boots, warm clothes, Ultra violet suntan lotion or cream, first aid kit with sufficient medical requirement, rain coat, woolen hat etc. Quite a lot of items which you might have to carry along this trekking is not pointed out here. These stuffs may seem excessive before heading unknown place. But bear in mind, it would certainly change your experience when you are ready to begin your trek. Water: First of all, do not forget to carry water purification tablet or drops which you can buy in Kathmandu. It is very essential in treating your own bottles when you refill water from the Lodges or village tap. You could possibly also save your some money on purchasing a new one liter plastic bottle all the time. AnotherIt is very expensive to buy a sealed bottle mineral water (NRs 200 to 300 per liter) in Everest Base Camp trek. With an absent minded, do not drink until 30 minutes after you put purification tablet or drops on your outside tap water. Otherwise, you feel severe symptom. Soft and Light Shoes: Trekking boot is mandatory while going on long 12 to 15 days trek. Beside this, I also suggest you to carry soft and light shoes which is very comfortable for you. Because, after you have trekked for longer than anyone knows in slogging boot, you certainly will have an awesome ease and comfort in your light weight shoes and also to hang in and around the villages. Another, this is even needed after you reach lodge or at overnight camp in the afternoon or for short time in the morning before heading towards Everest Base Camp Trek. Light weight back-pack: Bringing such type of bag should have waist belt strap which is easy to carry and should not have feel difficulty while trekking or travelling to long duration. Can also be the better plan as you may be able to match with your actual photographic camera along with additional other items in it, like a few clothes or sleeping bag. Light in weight sleeping bag: Despite the fact that, for the most part trekking lodges ensure that you get the blankets. It is relatively usual circumstance that these blankets have poor smell and might probably not high quality a satisfactory. So, it is highly recommend that you must carry a quality sleeping bag that hopefully can give a relaxed temperature although at -15 Degree Celsius. Other First-Aid Requirements: Make sure you have fasten aids and other spiking plasters. Because a small blister or wound may come about while delightful walk changes into hurting as a hell. You should never keep every single blister or just injury without treatment since there are exceptional probabilities of a skin infection. Vessel tapes can also be a good quality alternative to band- helps. Binoculars: To enjoy the stunning view of massif Himalayas and topographies, to know the far distance trail if you get confused, binoculars is very helpful. Even it helps you to identify the most of the brilliant and superb scene of wildlife in the shape of plants and animals. Do I need to hire a Guide or Porter for Everest Base Camp Trek? You can easily hire a porter for your trekking who make easier by carrying your belongings and other items. If you find yourself physically powerful, you usually do not need to have carrier. But in the case, if you decided to seek the services of the porter. You need to give a direct payment (NRs 2000 per day per person) into the needy destitute people of the settlements. If you are a kind person then, it is better to hire them, because that can be an advantage to generate the employment in Local poor people who can make their better life. Many porters are sincere and respectful throughout the region. However, you must continue to be take good care and also find out according to your evaluation to choose the right one trustworthy among many. Otherwise, your negligent decision might harm every part of your trip. Remember when you are planning on hiring a guide, it is not recommended, if you have just scheduled for trekking up to as high as Tengboche or Pangboche. Actually, when you are travelling with little budget and on the other hand if you have strong determination to reach up to the altitude at 4000 m then calculate your physical fitness and you can take porters. But, taking guide with you up to that point is also not bad. Because, they can help you in giving extra knowledge. If you are intended to go above 4000 m up to Everest base camp (5364 m) then better hiring a guide. They will help you in every time. Even they are expert in handle you over the night path if you get serious problem in Everest base camp trek. Another, they can help you in translating the language and clarifying the local view or local sight. They often appear as a great guide if you would fall sick or maybe suffer from any kind of health problem or simply physical distress. The guides basically choose to talk British English besides other local languages. They also possess a professional licenses to operate properly. Although, you need to keep in mind that carrying your baggage is not an integral part of their profession. Just like porters, who arrange their personal overnight accommodation and also foods until you call the companies to participate in your circle. 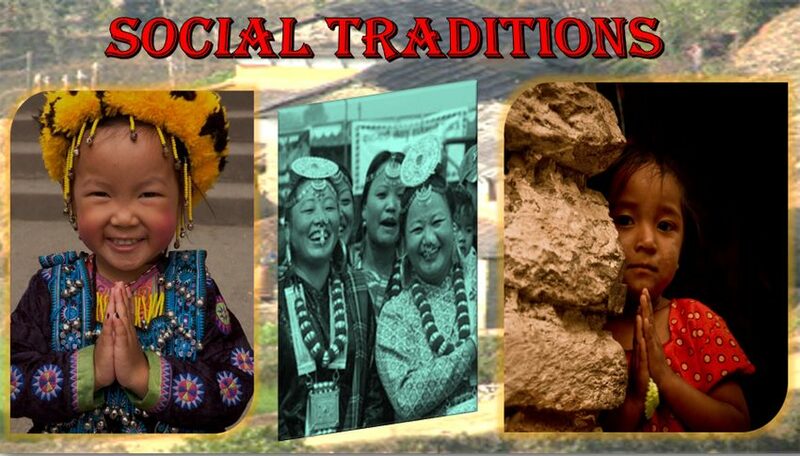 It would honestly be a great thought to become accustomed to their way of living lifestyle and culture. Altitude Sickness oftenly known as acute mountain sickness or AMS. If not cured once the symptom first appear can lead to death. It is the result of height those who go up hurriedly to the elevation above 3000 m from the sea level. Going on an adventurous type of trip without identifying the challenges is completely silliness. Once you begin the trek, make sure that you can recognize the effects of high altitude on your body and mind. Have knowledge of signs and symptoms of AMS which manifest itself in headache, sleepless, dizziness, nausea, vomiting, get aggressive, drunken gait and strange feeling of discomfort. Do not disregard this caution. Otherwise, more severe sign can arise which can even death within a few hours. The care for this AMS is to descend lower elevation. There is no substitute for descend even if the doctor is available. If you sense any one of these symptoms and signs, notify to your trek leader or guide on main concern and observe his guidelines. Almost every camping site lodges in Everest Base Camp trek are equipped with as stretcher, oxygen cylinders (100 US Dollar per hours), and well set up first aid kit solution to heal the particular situation. But, only you have to pay charge for it. Climatic conditions is changeable in the mountains. Although everyone is constantly aware with regards to the changing weather condition, there is no one who can easily make sure of a snowfall, bad weather rain fall or Sunshine. Do keep in mind that your security and safety is of topmost importance and additionally do not continue further from the camping site in case the outside weather is not very good. In such cases, if you have a guide then the decision making process of the Guides or Trekking Leaders to continue ahead or just look for the climatic condition to get improved shall be last option. Accidental injuries are rare, while you are trekking over challenging landscapes, you may have less serious injury like for instance leg crick, shiners etc. Critical incidents such as fractures or perhaps serious wounds could be very exceptional in Everest base camp trek. On that situation, your guide or leader are trained to handle dangers and can challenge minor wound with a well-furnished micro life-kit. Otherwise, last option is to charter the chopper in the assistance of guide or from the hotel and admit to the hospital for doctor prescribe in order to cover from your insurance. Preventive Measure: Don’t think serious. Take it easy. Drink at least 4 to 5 liters of water per day. Do not move rapidly and acclimatize your body with proper amount of rest is the best method to stop your acute mountain sickness. If you get severe problem. Let you know your guide and his or her decision will be final. Accommodation on Everest region trekking are local lodges. Many proprietors give the name of their camps a Hotel or lodge and restaurant. Because, in the mountain area some of the hotel has food and may not provide service to sleep, while lodges always offers room. But, it is completely basic and different then the cities hotel and guest houses or lodges. It’s amazing to hear. In fact you can easily find out foods and basic type of room along the trail established tea houses. Most of the accommodation is in twin share basis with outside toilet facilities in Everest Base Camp Trek. Some of them have room with attached bathroom with western style flash toilet. Hot shower is available with little charge (NRs 200 to 300 per Person). But, many of the services they offer by calling their established Hotel & Lodges have dining room where you can get meal service and to enjoy by playing cards. One another things that some of the lodges have Wi-Fi internet facilities who provide with little charge (NRs 250 per person). Upon your arrival in Kathmandu, there are actually all sorts of eating places to indulge the good taste foods and flavor to the unique styles of visitors. You can find Indian , Chinese , Japanese , Italian , Mexican, continental favorite place at standard fast food joint parts , pubs and regional restaurant cafes, which even offer you original and delicious Nepali , Newari and or Thakali food items. You can also find a lot of food selections on Everest Base Camp Trek. Regular food presented is cooked by hometown individuals, trained to the good quality that can fulfill the necessity of the client. Virtually every small tea houses along the trails, generally has food items to provide you with that are available in quite all-inclusive menus to choose between. Dal vat this is obviously the most popular and common main meal, which is made up of rice, lentil soup with vegetable curry made up of periodic vegetable accessible locally. Various other meals may well include roti (flat breads) with curry, fried rice, momos and smallish stuff dumpling that are regularly steamed and serviced with love. It’s somewhat unique as compared to what one you have in the cities. Afterward, totally from pancake to macaroni, cheese to muesli perhaps even apple pie and pizza can be found. The foodstuff does not have all the cutting. But this can be filling up and plates are normally quite full-size. Freshly meat may become lacking in off season of the year. Buying some cheese may help to proteins for your trekking diet. Do remember: Be sure to carry your preferred snacks as well. Because as you are in trekking there will be not fixed time to have your lunch due to the far behind tea houses. You simply must make up your mind exactly what snacks will be better to bring throughout the multiple days of trekking on the Everest Base Camp Trek. If the weight of your pack have a space, grab a few chocolate bar, nut mixture, dry fruits, sinkers, mint etc. Better plan to purchase your needs in Kathmandu. There are a few washing laundry and shower services made feasible for the trekkers.Laundry service is available only in Namche Bazaar. Before and after Namche there has no washing laundry facility. In rest of the places, the trekkers staying in the holiday’s lodges must use their hand for washing clothes that can rinse their clothing in the basin. Normal water is pretty colder. You need to be attentive about your hand and skin. In spite of how warm and comfy the water would find yourself in bathroom shower. When the surroundings atmosphere have cold weather then probably not pleasantly warm. Try to use bio-degradable washing powder or soap for dipping. At last, you need to depend on sunlight or heater for dry. Hot shower is offered until to Gorakshep a high altitude village of Everest Base camp trek. But, many of the spot have gas geyser hot shower in the bathroom. In certain destination (in higher altitude) with respect to season, they give you domestic hot water in the bucket with Jug for the shower. Due to the frozen of pipe line some places automatic shower does not work. Do keep in mind that either you use hot water in bucket or solar or even gas geysers shower, you have to pay for it which is around US 2 to 3 dollar per usage. The rates also raise according to elevation of the spot. Another, carry out your own personal effective drying towels to use. As you don’t have, lodges also give you towels with bathroom on demand. 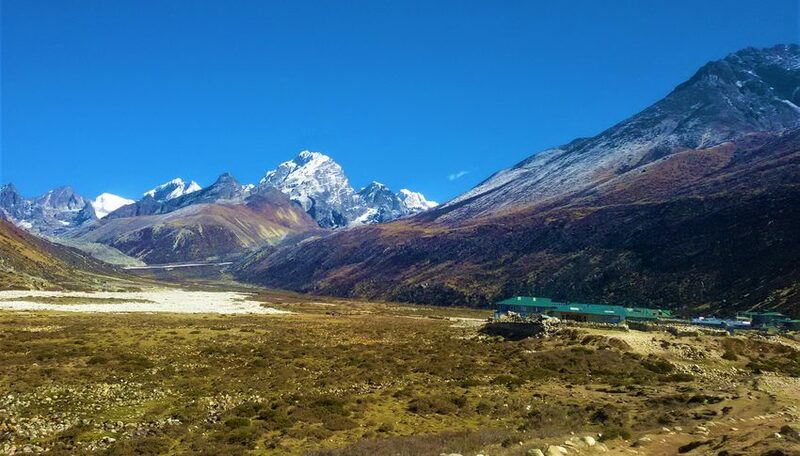 When you have arranged a quality camp at the time of the Everest base camp trek, you then possess the facilities of a joined bath-room which offers a warm shower as well. Because, the services are designed available based on the location which is reserved for places to stay. At last, on high altitude, you may only just clean your body with a steam fabric or with only some hot water from the bucket. It is advisable you to pack polyester towels for the base camp and make sure that dry out immediately. Do remember that Kathmandu-Lukla-Kathmandu airlines flight might get postponed for couple of hrs or can even be canceled for just one or even a couple of days. Because of inclement varying weather conditions. This sort of situations may well happen even during the best different seasons. Therefore, in such type of conditions, you need to be ready for lengthy waits both at Kathmandu and even at Lukla airstrip. As it can take place also in the beginning or after completion of the Everest Base Camp Trek and sometimes even both. As a result, I highly recommend you that arrive with some extra one or two days whereas, at the end of the trek you can address those flight delays. In the some specific event, the airline flight might delayed or cancellation arises at the beginning of trip over something. As it can be a long days that influences all your further trip itinerary. At that time, you can also find a way to continue on a few other trekking part similar to a trek in the Annapurna region , Langtang or maybe some other part . Remember when you are not enthusiastic about a mentioned trekking regions then, simply go over to any specific travel agent that will arrange helicopter charter upon your demand. Which cost around Us dollars 3500 up to Lukla airport. But it may possibly lift up 5 to 6 people in general per charter flight. At the end, when every things goes efficiently then you still will have couple of extra days at the last that remains after the Everest Base Camp trek. Then you can just decide on by yourself in various fun-based activities such as spots of your interest, grand adventure sporting (Bungee Jumping), shopping around and so on and so forth. Do I need a National Park Permit (NPP) and TIMS Card to go Everest Base Camp Trek? Actually, the Everest is lies in Sagarmatha national park. So, it is very important to buy a park permit from the Nepal Tourism Board (NTB), which lies near the Bhrikutimandap. Especially, for keeping the record of foreign visitors the permit and TIMS is essential. And this all is available at NTB or Thamel in Kathmandu. 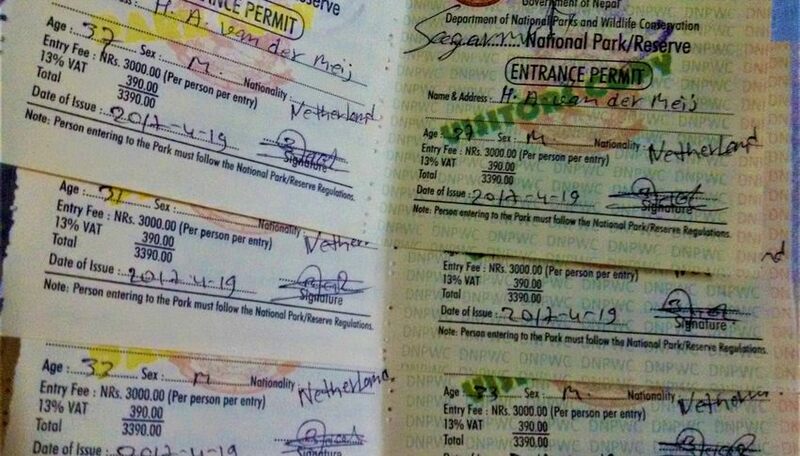 Important Note: National park entrance permit is mandatory for the foreign trekkers. A park staffs in the Monjo checkpoint observe the permits, either you have or not. You will definitely find some other checkpoints even as you go along “Everest base camp trek“. So you are required to check in your own permit wherever it is needed. When you are traveling from agent, company will certainly issue this permit. For freelance trekkers also the charges are same and permit could possibly be issue whether in Kathmandu or even straight away in Monjo. The price is same in both the Kathmandu and so Monjo. Important Note: The required TIMS card for Everest Base Camp Trek is provided by Trekking Agent Association of Nepal (TAAN). If you want trekking from an agent, you have to acquire organized TIMS card. This is often blue in color but will cost you US dollar 10 for every single card. Each individual trekkers should have each card. Your trusty agent is mainly responsible for providing mandatory card for you. You only need to provide your current passport info and then one passport size photograph. Remember when you are trekking freelance, you then definitely will need to come by separate TIMS card. This really is green in color which will charge you the US dollar 20 per each card. You may need to go by yourself to issue this. It can be issued in both from Nepal Tourism Board or Thamel in Kathmandu. If anyone from SAARC (South Asian Association for Regional Cooperation) country, perhaps you can issue SAARC TIMS for Everest Base Camp Trek. If you simply trek by an agency then agent will issue for you. Otherwise, for independent trekkers, you have to go to issue by yourselves. It is very important to take out all-inclusive travel insurance before you start your Everest base camp trek. Which help, when you get serious trouble on the trip. Even if you travel through any agency, they suggest you to take out comprehensive insurance that must cover in contradiction of personal accident, emergency evacuation (including Heli rescue or air ambulance where appropriate), medical expenses, personal liability (theft of items), trip cancellation, loss of luggage and personal effects. Do not forget to take-out these all mentioned things on your travel insurance even if you travel independently. • Do not take photograph of local individual or people without asking them. • Do not throw the stone as a kid inside the national park while trekking. This can hamper to the wild animals. • It is not allowed to break any branches of tree or bring any small things from National park. For instance: branch of trees, plants, stones/ Rocks, creatures etc. • Do not encourage the children by offering the money on the way. Otherwise, parents encourage their children to beg time and again. If you have such kindness, offer them a chocolate, food stuffs etc. • Try to prefer buying local things that make your travel/ trekking very unique. Which can directly benefited to the local people. Now, do you have question regarding to Everest Base Camp Trek. If you have, let us know, we are here to assist you to plan your trip.